Bruce B. Elfvin has been certified as a specialist in Labor and Employment law since November, 2001. He has been recognized as one of Cleveland’s Best Lawyers for several of the past 20 years, and as a Super Lawyer in Employment Law every year since 2005. Best Lawyers of America has also selected Bruce as a top attorney in 20 of its past editions. 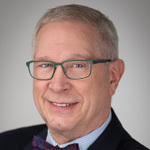 Bruce has recently served as chairman of the Ohio State Bar Association’s Labor and Employment Section Council, and remains a member of the planning committee for OSBA’s Midwest Labor & Employment Law Conference. United States Courts of Appeals for the Fifth, Sixth, Seventh, Ninth, Eleventh, and Federal Circuits. During his experience with the United States Equal Employment Opportunity Commission (EEOC) from 1972 to 1985, Mr. Elfvin served as a Senior Trial Attorney, Chicago, Illinois; Regional Attorney - Cleveland District, Cleveland, Ohio; and as Assistant General Counsel. His performance was recognized by EEOC Chair and now Supreme Court Justice Clarence Thomas as outstanding in multi-district class action cases. 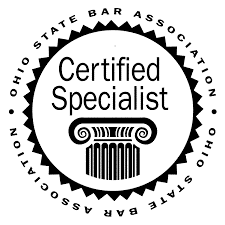 Mr. Elfvin is a member of the Ohio State Bar Association; National Employment Lawyers Association; and the Ohio and Cleveland Employment Lawyers Association affiliates of NELA. He had served as the Sixth Circuit Representative on NELA’s Amicus Advisory Committee for the past decade. Bruce is a Master of the Bench of the Cleveland Employment Inn of Court, and is a Past President of the Inn. He is an experienced private mediator and also serves on the ADR Panel for the Northern District of Ohio. Bruce has presented at a variety of national and state wide conferences over the past two decades, most recently he spoke at the OSBA's #MeToo conference on sexual harassment and 2017 NELA Convention on Disparate Impact cases. Mr. Elfvin is active in his community, and has coached youth soccer, and assisted Cleveland Heights High School’s men and women soccer teams and its women’s lacrosse team. From 2014 through 2018, he was a member of the Grand Lodge Executive Board for the Midwest Region of the Swedish Vasa Order of America. In 2018 he was elected to be the Vice President of the Vasa National Archives in Bishop Hill, Illinois. Mr. Elfvin is a baritone member of the American Union of Swedish Singers, and Vasa Voices of Cleveland.